The multi-platinum selling singer Josh Groban will play the 3 Arena on December 16, and we have a pair of tickets to give away! Competitions 3 December, 2018 . Written by Sarah McKenna Barry. Award-winning singer-songwriter and global superstar Josh Groban is set to play the 3 Arena in Dublin on December 16, and in association with MCD Productions, we have a pair of tickets to give away. The multi-platinum artist and Tony-nominated actor released his latest album – Bridges – last week, and it entered the Billboard Top 200 charts at number two. Possessing one of the most outstanding and instantly recognisable voices, the ‘You Raise Me Up’ singer has sold over 30 million records worldwide. The 36 year-old is the only artist to have two albums to appear on Billboard’s Top 20 Best-Selling Albums List of the past decade. 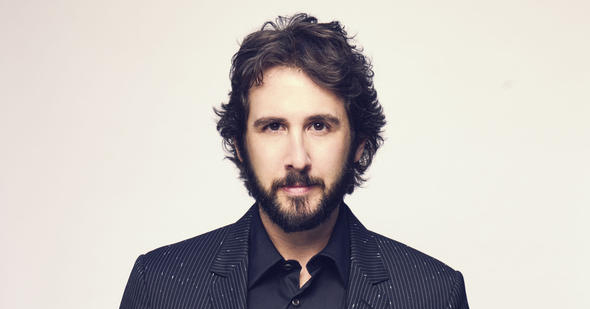 In October 2016, Groban made his Broadway debut in Natasha, Pierre and the Great Comet of 1812, which Time Out New York dubbed “one of the best musicals of the decade”. Currently, Groban appears in the Netflix series, The Good Cop, starring opposite Tony Danza. 3 December, 2018 . Written by Sarah McKenna Barry.